Ahed Tamimi, the 17-year-old Palestinian girl arrested for slapping and kicking two Israeli soldiers, has been released from prison after serving an eight-month sentence, reports the AP. Why it matters: She became a polarizing, global figure of Palestinian resistance in December, when a video of her hitting the soldiers in retaliation for the death of her 15-year-old cousin went viral. 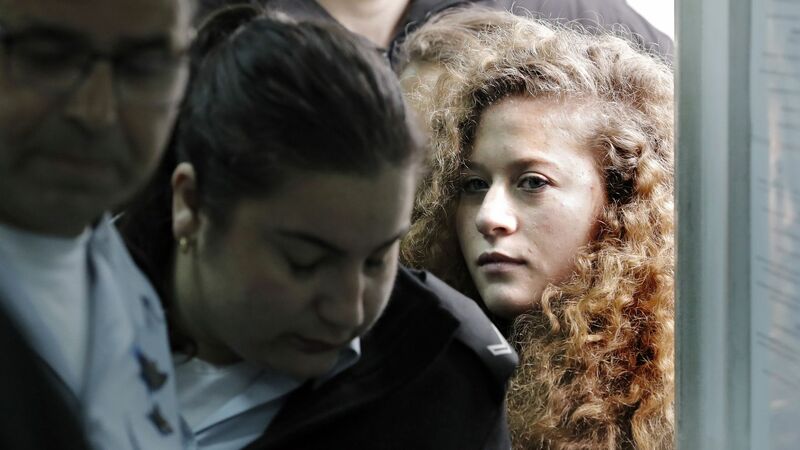 Per the AP, she received "a hero's welcome" upon returning to her West Bank village Sunday.